It’s time for the 3rd Leg of the Race and now teams will be flying to Almaty, Kazakhstan! Teams will be on one of two flights. The first connects through Bangkok on Lao Airlines and Air Astana arriving in Almaty at 4:20pm. The second flies through Seoul-Incheon on T’way Air and Air Astana arriving in Almaty at 5pm. But! This first clue also warns teams that one of them may earn an Automatic U-Turn at some point this Leg! So they must do their best to avoid being at the back of the pack. 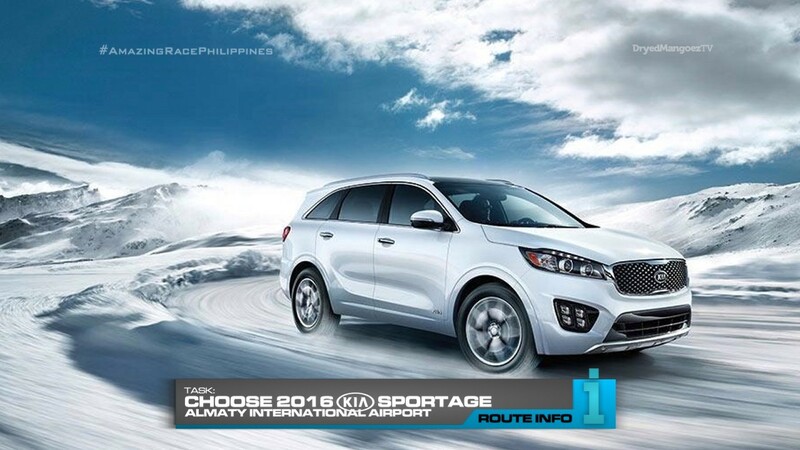 Once in Almaty, teams will choose a brand-new 2016 Kia Sportage and drive themselves to Medeu Oval. Teams will find their next clue outside the stadium. And that clue tells teams that they must play a game of bandy. They must score two points against professional players within four minutes to receive their next clue. Teams will be playing half court, so two teams can attempt the task at the same time. After scoring, teams must now drive themselves to Shyumbulak Resort. They must choose a departure time for tomorrow morning: 5:30am, 6am and 6:30am. There will be three teams in each group. HOWEVER! The last team to arrive at Shyumbulak Resort will receive an Automatic U-Turn! That means they must automatically complete both sides of the Detour. 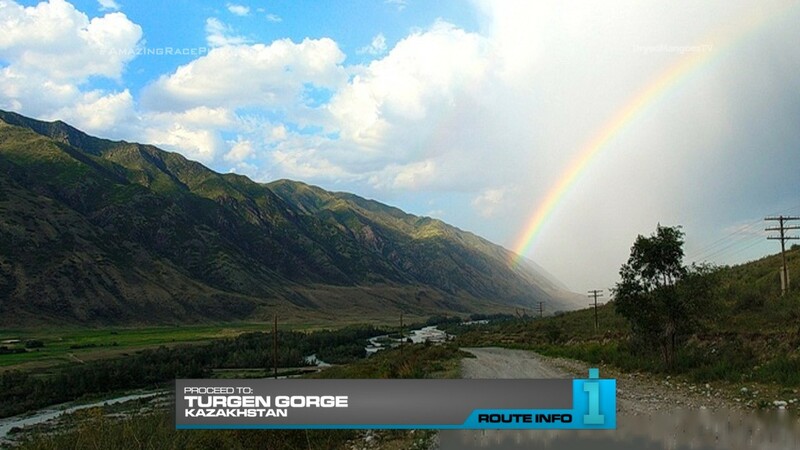 After a good night’s sleep, teams must drive more than an hour to the Turgen Gorge. 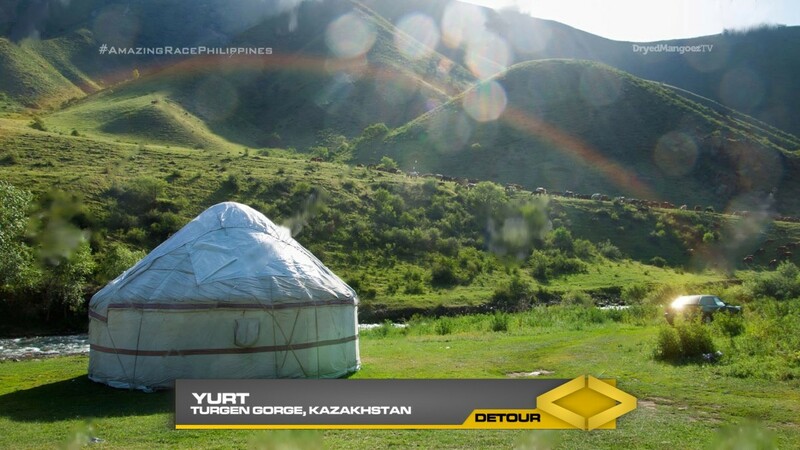 And this is where they’ll find the Detour: Yurt or Herd. In Yurt, teams must correctly and completely build a traditional nomadic yurt. In Herd, teams must herd a group of ostriches into a pen. 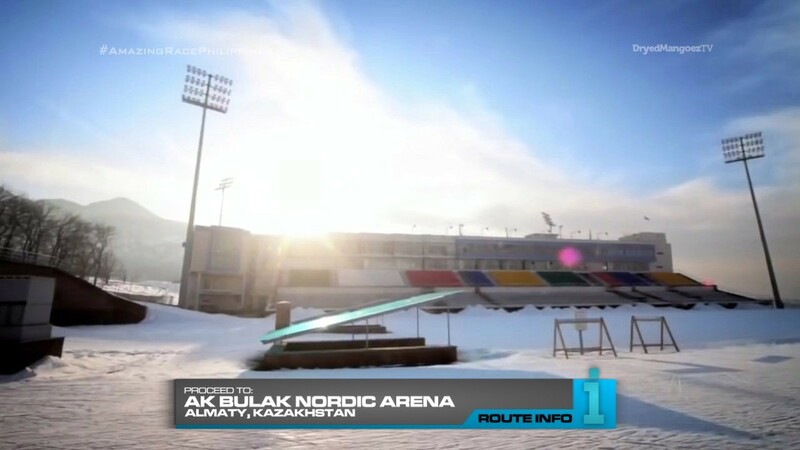 After completing the Detour, teams must drive to the Ak Bulak Nordic Arena for their next clue. And that clue reveals a Double Road Block! Who’s got stamina? And Who’s got precision? In this modified Switchback to Season 4, teams will be competing in the Olympic biathlon. Both team members must put on a full bodysuit. The team member who has stamina must do two laps around a marked course on the oval and in the area on skis. They will then tag in their partner. 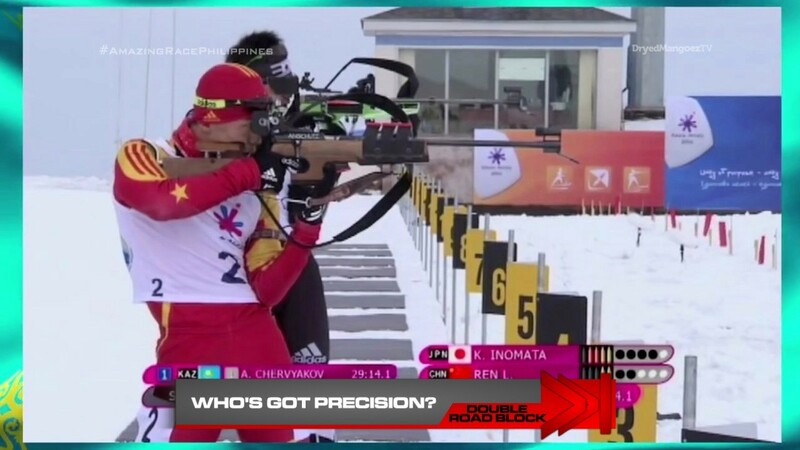 The team member who’s got precision will then need to use a rifle to shoot five targets. If they do not shoot all five targets, their partner must do five more laps before they can have another attempt. 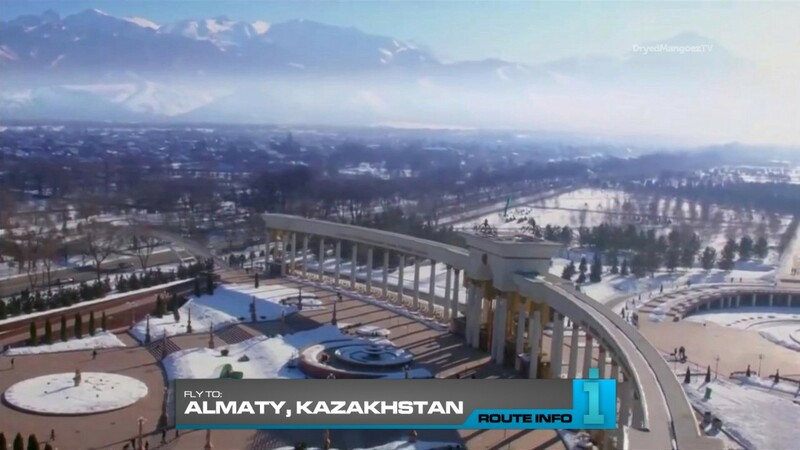 Once teams have completed the Road Block, teams can now find the Pit Stop by driving themselves back to Almaty and riding the cableway to the Kok-Tobe Apple. And they will need to serve that penalty on the next Leg… WHICH BEGINS RIGHT NOW!!!!!!!!!!!!!!!!!!!!!!!!!! No chill in chilly Almaty! 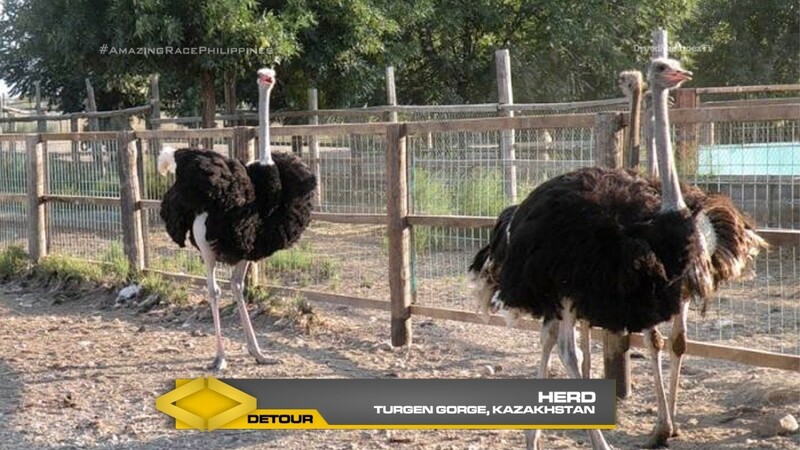 Kazakhstan is definitely an interesting country for TARPH to visit. I’m not even sure most Filipino viewers would have even heard of the country before. So this visit will definitely be something fresh and different. The TAR13 Kazakhstan Leg was pretty simple, so I don’t think I’ll be borrowing from that Leg too much. 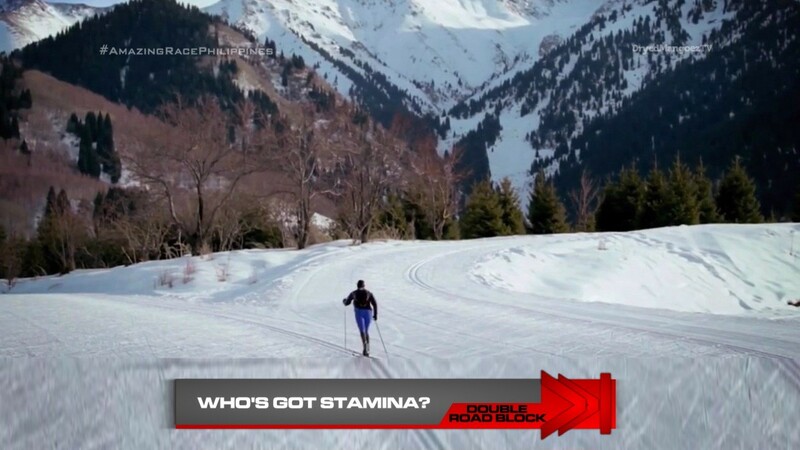 For this Leg, my objective is having a snow Leg which is inspired by Almaty’s bid for the 2022 Winter Olympic Games. Of course, that would mean TARPH visits in the winter months. But at the same time, I’m not really sure the Detour here and a task in the next Leg would be possible during winter. First, the idea of a big penalty just for being last at a certain task is an interesting one. On one hand, it raises the stakes and pushes teams to give it 100%. I keep pointing back to TARPH2 and the lack of effort by teams. So if teams are threatened with something like an Automatic U-Turn, then they should hopefully get fires lit under their butts and do well. If this doesn’t get teams to not be lazy, then I don’t know what will! Hehe. Lots of great locations it seems in Almaty, especially for the winter sports. 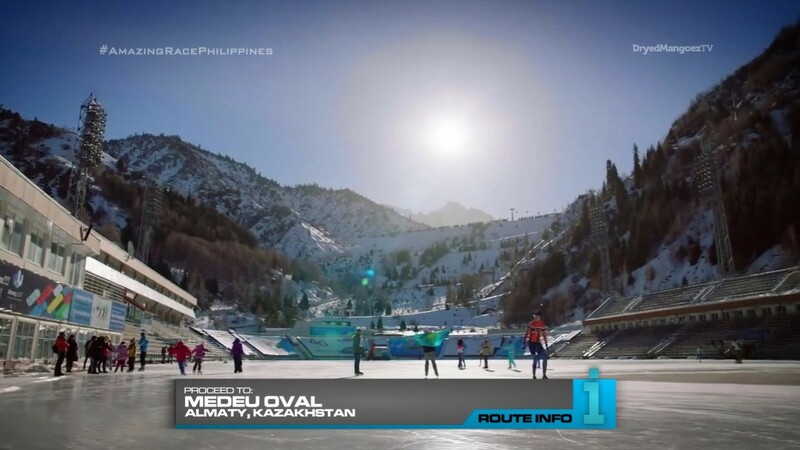 The Medeu Oval and its open-air design is great for some hockey-type task and bandy is a great one that’s specific to Kazakhstan and the area. Teams will be arriving in Almaty in the afternoon and might even be dark by the time they reach Medeu Oval. The location would look stunning day or night, but there would definitely be a different atmosphere if teams are competing in the early evening at dusk. 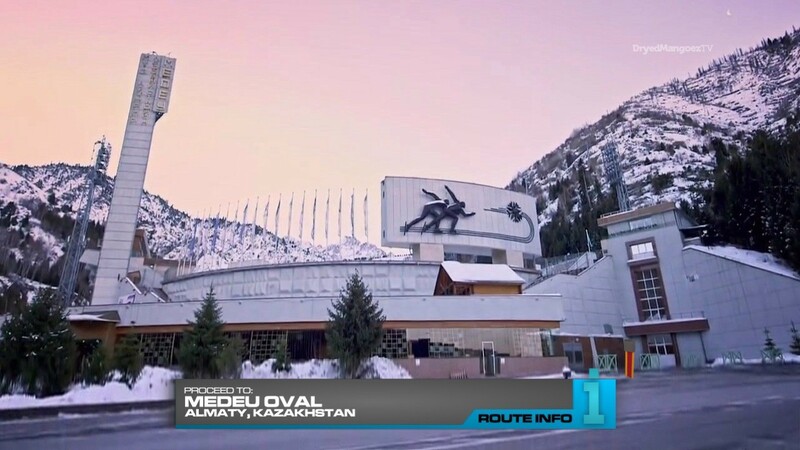 Since teams will need to spend the night somewhere, the Shyumbulak Resort is a close location (and part of the Alamaty 2022 bid). And the Automatic U-Turn here could add some big drama if teams get lost on the way, etc. The U-Turn should hopefully only cause drama and not automatically eliminate a team since this is a Non-Elimination Leg. Though, the last team would still get a Non-Elim penalty. I wanted to keep this Leg outside of Almaty city proper, so the long drive to Turgen Gorge for a nice countryside Detour would be good. There may be other things to do in the area, but the most interesting I found in my simple Googling was the TAR-standard yurt assembly and the ostriches which I thought was one of the very best tasks from the real TARPH2. The Ak Bulak Nordic Arena is another Almaty 2022 location and the proposed venue for the biathlon. Perfect! TARPHDME4’s Canada Leg used TAR Canada 2’s biathlon Road Block, so this would be a great place for a Switchback. But it would be different of course since we can assume the TARPHDME4 Road Block took place without any snow. Here in Kazakhstan, teams will get the full Winter Olympic biathlon experience which would be very awesome. Making it a Double Road Block (like TARPHDME4) just adds a little more drama excitement. 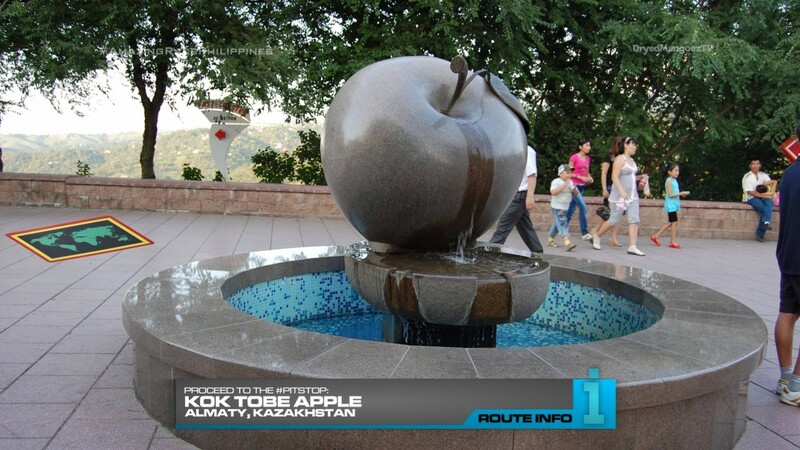 And finally, the Kok Tobe Apple Pit Stop allows to transition to the next Leg while nodding to Almaty’s apple history as well.